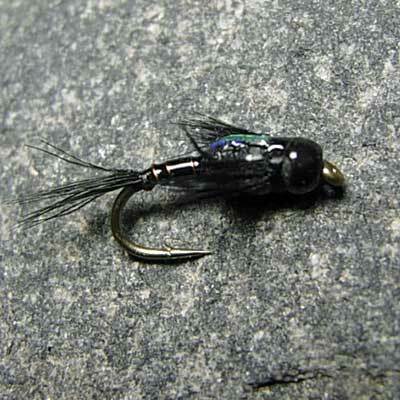 The Two Bit Hookers - these have double Tungsten beads to sink them down fast into the fish zone. The Two Bit Hookers are available in size #14 - #16 and come in Olive, Lt Olive, Black and Red. Fish on a floating line, sight fishing to sight fish, or with an indicator.